It’s been a busy week here at Five Minute Friday, and the momentum continues! In the Work from Home article, you’ll find a limited time offer for more than 30 work at home resources valued at over $2,000. Through Monday, June 12th, you can grab it for only $47! In the Planning Ahead article, you’ll find my review of the new DaySpring 18-month agenda planners. They kick off with July 2017 and go all the way through 2018, and I can’t get enough of mine. See the planners here. 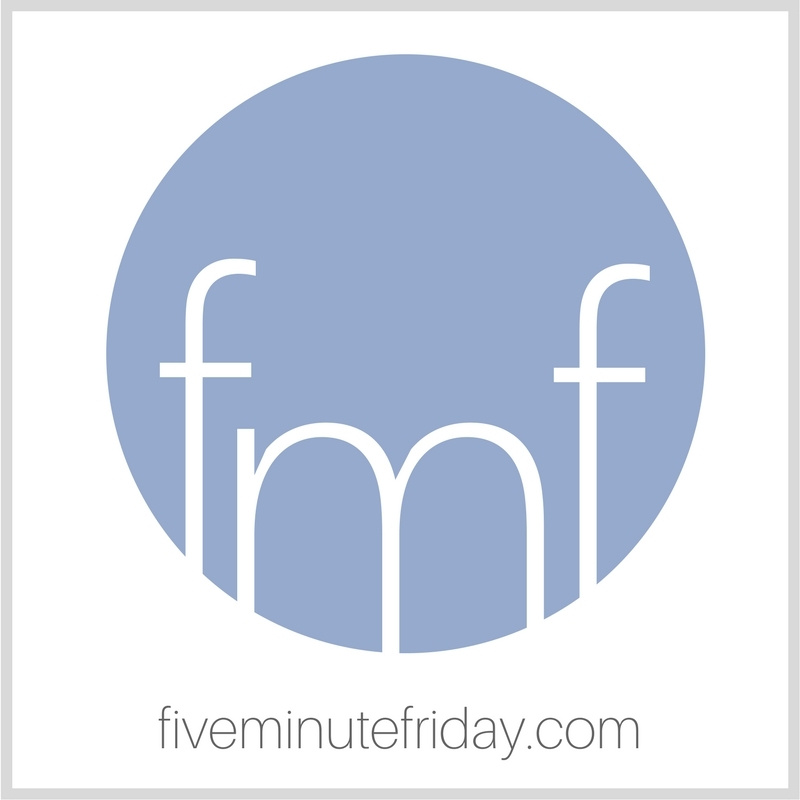 If you’re new to Five Minute Friday, welcome! You can learn a little bit more about us and how the link-up works by clicking here. I wake up and don’t think twice about whether my home will still be standing by the end of the day, or whether I’ll wake up the next morning. For the most part, I’m embarrassed to admit that I take my health, comfort, security, and next breath largely for granted. I check my calendar and think I know what to expect the next day. But the truth is, I have no idea. I don’t even know what the next hour or minute will bring. I spent ten years living in South Africa. This past week, Cape Town experienced the most devastating storm they’ve had in 100 years. Remember that school we supported with half the proceeds from the Five Minute Friday book? During this week’s storm, the roof blew off the school. Can you even imagine? In my mother-in-law’s neighborhood, a family of four was killed when their roof collapsed on them while they slept. The very next day, 500 homes burned in a South African coastal city called Knysna — including the home of one of our dear friends. Our friend woke up that morning with no idea that she would not have a home to sleep in that night. It’s a sobering, humbling thought to realize we have no idea or control over what happens next. But do you know what we can expect with absolute surety? Jesus is coming back. He’s coming, and I don’t know about you, but I want to be ready. Join @5minutefriday as we write for five minutes on the prompt, EXPECT. 1. Write for five minutes on the word of the week. This is meant to be a free write, which means: no editing, no over-thinking, no worrying about perfect grammar or punctuation. 2. Post your words on your own blog. If you don’t have a blog, you’re welcome to post your five minutes of writing in the comments here each week, or on the Five Minute Friday Facebook page. 4. Copy the actual permalink (url) to your specific post (not your blog’s homepage). For example, copy http://katemotaung.com/five-minute-friday/ and not just katemotaung.com. 5. Come back to this post and click the blue “Add Your Link” button at the bottom of the post. 6. Paste your unique permalink / url where prompted by the pop-up window and follow other instructions. 8. Any questions, feel free to email kate<at>fiveminutefriday<dot>com. Happy writing! What comes to mind when you think of the word, EXPECT? Share with us in five minutes or less! Link up using the blue “Add your link” button below, and be sure to leave a comment for your link-up neighbor! Expectations are so much ingrained by society and culture…and they can be such fantasy! I count myself as lucky. I hope I will see tomorrow’s sunrise alive, and not too much worse than I am now…but I don’t expect it. It is so good to know that though we may not know what to expect each day, we can know the One who has it all in His hands and He will never leave us. Loved your post. I’m sorry to hear of the damages caused by the storm, Kate. Especially the fire that took your friend’s home. It is so true; we don’t always know what to expect. Thank you for the sweet reminder that we can expect and anticipate Jesus’ return. Oh, happy day!! Katie your blog post is right on point. Just this week my friend suffered two hard blows. Her step daughter’s 52 year old grandmother passed and her granddaughter whom she rears lost her father. He died in his sleep. Tomorrow is not promised. It’s surreal when we have those life changing experiences. I hate the traumatic experience but appreciate the wake up call to number my days. I only have this moment. Yes, the devastation in SA has been heartbreaking. I’m so sorry to hear about your friends. We have so many friends who have been affected by the floods and fires, one of them even needed to be rescued from her home in Knysna by NSRI. It’s hectic. The positive has been that the churches have been out in force and doing an incredible job of showing Jesus to a lost world. God is activating His people through it all and reaching hearts. Please continue to pray for rain. It’s desperate.